Alpine Ridge - Pictures Are Of Completed Model Home. MLS#2046266. Olympic Realty. 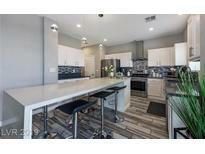 San Marino Summerlin - Costco, Downtown Summerlin, Red Rock Resort, Red Rock National Conservation Area all a few minutes away. Highly sought after schools. MLS#2046289. Summit Properties. Mcneil Estates - You’re sure to fall in love with this move-in-ready fully-updated home. MLS#2044703. Coldwell Banker Premier. Astoria Trails - The master bedroom is up with 3 bedrooms down and a family room downstairs. MLS#2045442. Weichert Realtors - Aspire. Upgraded features include a new HVAC system and fresh interior paint MLS#2044677. Coldwell Banker Premier. Maryland Pebble - Great Size Bedroom With Large Closets That Share Lovely Bath! Come View! ! MLS#2046338. Turn Key Property Solutions. This home is part of the Spring Mountain Ranch HOA. MLS#2045485. Opendoor Brokerage LLC. Casa Linda - Home comes with a 30-day buyback guarantee. Terms and conditions apply. MLS#2044178. OD Nevada Brokerage, LLC. Kingsridge - Home is close to schools and shopping. Easy access. MLS#2046133. The Property Shop. Walnut Ridge South - *must See Single Story Home*located On A Large Lot*open Floor Plan*ceiling Fans*cozy Fireplace In Living Room With Brick Backsplash*plenty Of Cabinets In Kitchen*spacious Rooms*french Doors Off Master Lead To Backyard With Over Sized Covered Patio*low Maintenance Landscaping With Sprinklers In Front And Large Tree*covered Patio In Back*rv Parking With Rv Gate*no Hoa Is A Plus*2 Car Detached Garage*must See* MLS#2047018. Keller Williams Market Place. New carpet, new paint and spacious backyard. Must see! MLS#2046234. Compass Realty & Management, L.
Jonathans Glen - PRICED TO SELL and MOVE IN READY! ! MLS#2042669. Maxim Properties. 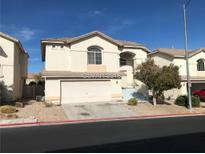 Copper Creek - Lovely 2 Story Home, Located Near Sam Boyd Stadium ,Home Looks Brand New, 2 Car Attached Finish Garage With Entry To Home, Open Living Room , Family Room Area, All Bedrooms Upstairs , Large Master With Walk In Closet , Nice Master Bath With Double Sink , Spacious Kitchen , Beautiful Patio With Cover . MLS#2045103. Century 21 Americana. Tuscan Cliffs At Southern Highlands - Pocket doors in family room open to amazing backyard w/patio & fireplace, outdoor kitchen, pool/spa & so much more! MLS#2045875. Simply Vegas. Main House Is A 3 Bedroom 3 Baths, Rolladen Shutters, 2 Car Garage And Work Shop, 2 Car Garage In The Back Of The Property Attach, Theres A Work Shop Off The The Garage Also. Rv Parking. MLS#2045877. Century 21 Gavish Real Estate. Gorgeous home in prestigious guard gated Rancho Bel Air community; featuring @4k sqft, 3 bed, 6 bath, heated pool/spa, brand new roof, travertine and hardwood floors, custom cabinets, pantry, closets, and counter tops, built in stainless steel appliances, Wine/Beverage Fridge and Bar, Whole home vacuum, ceiling fans and lighting throughout, separate laundry/wash room, separate bathroom for pool, built in bbq area, and more, move in ready for you! MLS#2045696. Deluxe Realty. Casa Rosa Summerlin - The home is conveniently located near the 215 Beltway & Summerlin Parkway, Red Rock National Conservation Area, Downtown Summerlin and Red Rock Casino & Resort. MLS#2045182. Keller Williams Realty Las Vegas. Cheyenne Hualapai - Gorgeous back yard with pool and spa , covered patio over looking scenic views of Lone Mountain. A must see home. MLS#2045881. Elite Realty. 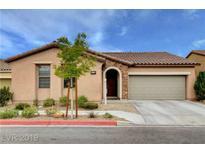 Lamplight Gardens - Quick access to schools, shopping, and the 215 and I-15. MLS#2045856. Realty ONE Group, Inc. Looking for a first home here's a great home. MLS#2045941. Las Vegas Realty LLC. 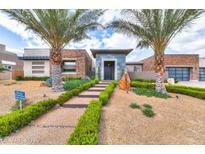 Tucson Ridge - New homes cannot compete with this fully landscaped backyard with pool, spa and putting green. MLS#2045883. Keller Williams Market Place I. The entertainer’s dream, home has expansive covered/uncovered patios as well as lush grassy plots. MLS#2045139. LVREAL. 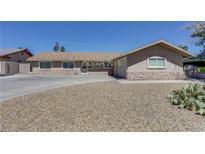 Eagle Crest - All on 1/2 acre+. Move in Ready! MLS#2044885. eXp Realty. 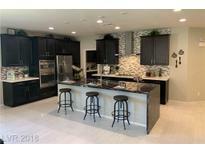 Lots of Builder perks A MUST SEE! MLS#2043305. eXp Realty. Providence - Secured Entry. You won't be sorry MLS#2045716. ERA Brokers Consolidated.